The sports blogosphere nearly collapsed upon itself Wednesday morning with news that legendary broadcaster Brent Musburger is leaving ABC/ESPN next week and the subsequent speculation that his departure is connected to Musburger’s latest controversy: wishing Oklahoma’s Joe Mixon “a wonderful career” during the recent Sugar Bowl telecast after video footage of the running back assaulting a female student in 2014 was released last month. [link_box id=”81189″ site_id=”94″ layout=”link-box-third” alignment=”alignright”]Brent’s brother and agent, Todd Musburger, vehemently denied from his Chicago office that the 77-year old is leaving ABC/ESPN due to the Mixon comment. For those skeptical about Musburger’s reasons for leaving the booth, his brother said that the new venture will be fully disclosed on Monday and it will become apparent then that this is not a cover that could have been thrown together in a couple of weeks. In fact, Todd Musburger said this new opportunity has been four years in the making, including “two years of very hard work” and hinted that the timing was related to Super Bowl LI to be played on February 5th in Houston. Brent Musburger, who has long had a penchant for fitting gambling references into his broadcasts, told the Associated Press himself that he is headed to Sin City to start a family handicapping business, but Todd called that “really incomplete” and a “simplistic” way of putting it. 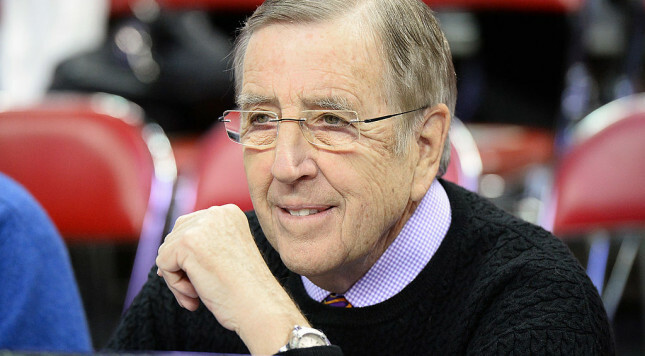 Musburger was bumped from his role as the play-by-play man for ABC’s “Saturday Night Football” in 2014 in favor of Chris Fowler and relegated to being the main college football voice for the SEC Network and doing college basketball duty for ESPN in recent years. Whatever the new opportunity is, it appears to involve broadcasting in some capacity, as Todd Musburger said even more people will hear Brent’s voice — his actual, physical voice — in the new role. That could be a handicapping-centric radio show on SiriusXM, as Jeremy Schaap mentioned earlier today on Outside the Lines. Musburger has been no stranger to controversy over the years, starting with him comparing Olympians Tommie Smith and John Carlos to “black-skinned storm troopers” for giving a Black Power salute on the medal stand at the 1968 Summer Olympics, to Musburger “discovering” the Florida State Cowgirls and Katherine Webb in the stands at college football games, to the recent Mixon comment. And so fans of Musburger must wait until Monday to fully learn about his next venture, followed a day later by cherishing his last play-by-play call for ESPN. If nothing else on Wednesday, we learned that the Musburger family has not lost its flair for the dramatic.